LittleGirl loved hers thank goodness. The cake is based on one from the brilliant site by Ann Reardon’s How To Cook That. What Is The Definition Of Messy? 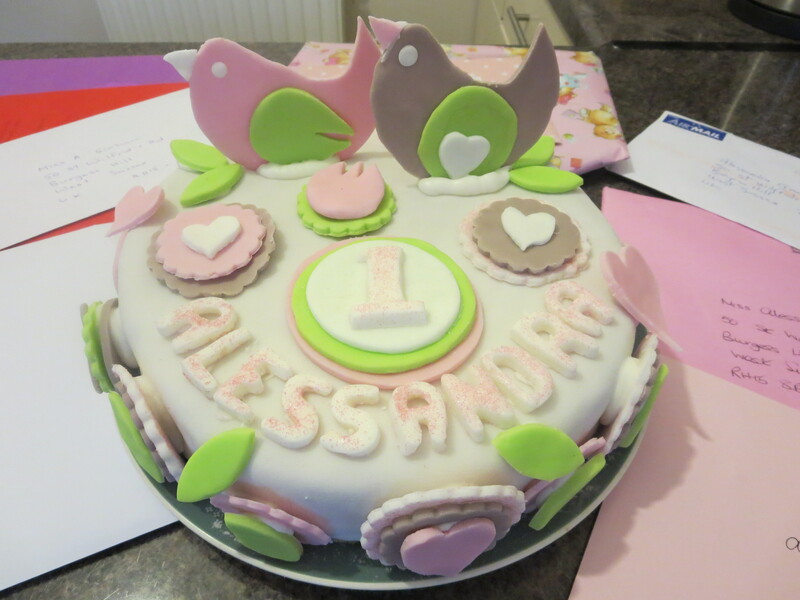 This entry was posted in Recipe and tagged Birdie Cake by Mamasim. Bookmark the permalink. Lovely cake for a one year old, not over the top. Bet you were relieved that she didn’t become upset by it being cut. Thank you so much Cynthia. She loved it and eating it too!